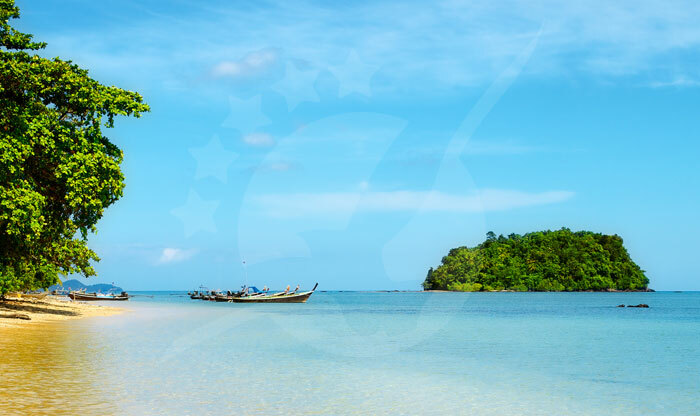 Koh Libong is located within the Had Chao Mai National Park, and archipelago of wonderful islands that are perfect for speedboat & ferry inter-island travel. Just looking out at the islands and seascapes make you feel like you're in a movie! 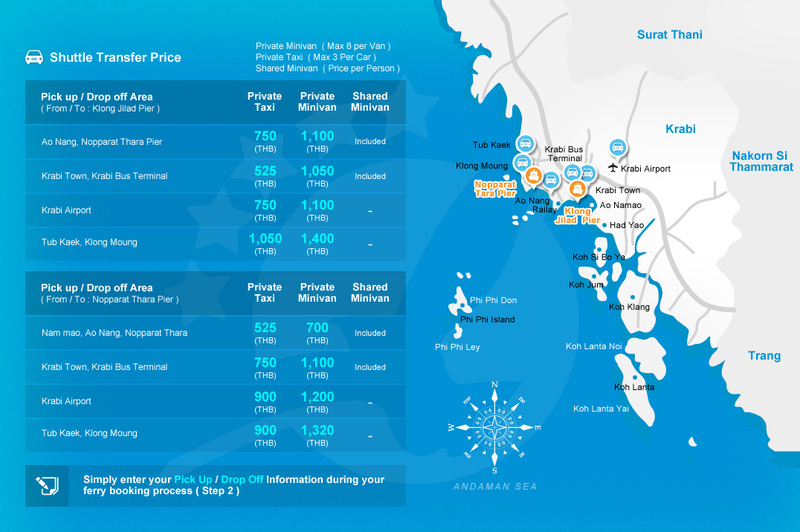 The whole island-to-island ferry experience is amazing, and with our simple phuketferry.com ferry booking system, it's easy to get there! The ferries are big (hosting 130 passengers or more), so just relax, take in the scenes wit hyour senses, and enjoy! 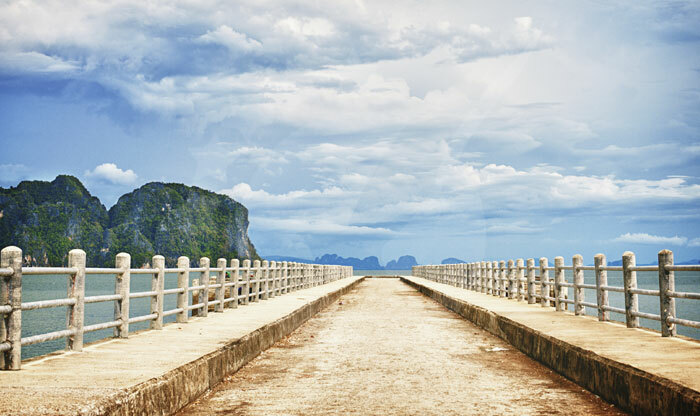 Koh Libong is known for it's... Read MoreKoh Libong is located within the Had Chao Mai National Park, and archipelago of wonderful islands that are perfect for speedboat & ferry inter-island travel. Just looking out at the islands and seascapes make you feel like you're in a movie! 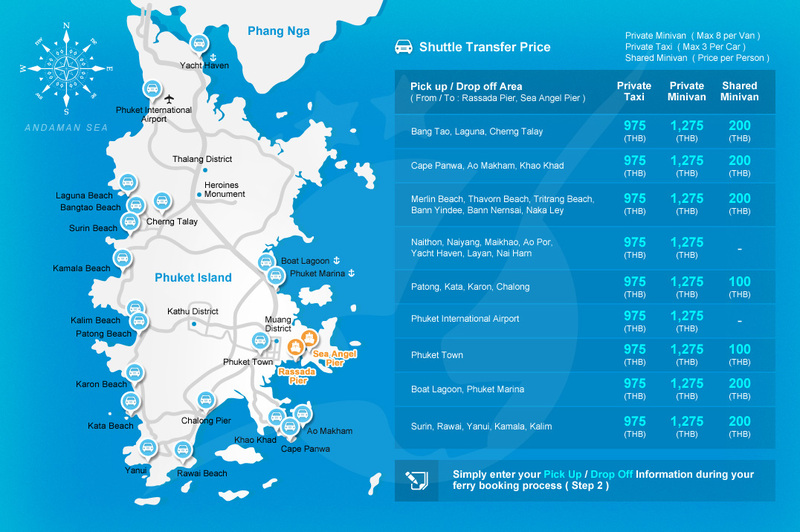 The whole island-to-island ferry experience is amazing, and with our simple phuketferry.com ferry booking system, it's easy to get there! The ferries are big (hosting 130 passengers or more), so just relax, take in the scenes wit hyour senses, and enjoy! 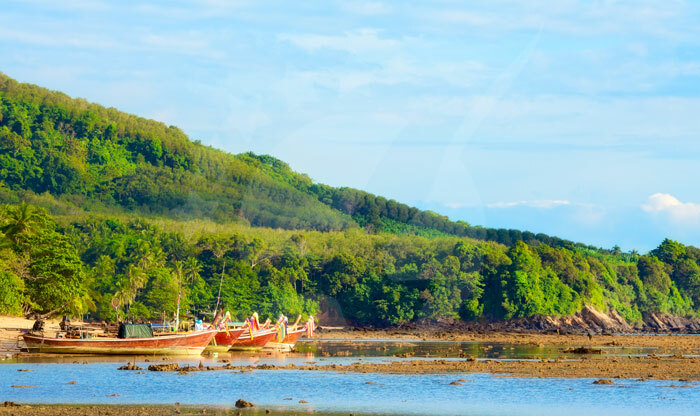 Koh Libong is known for it's wonderful rugged scenery and awesome wildlife and what better way to be introduced to the island than by speedboat & ferry. 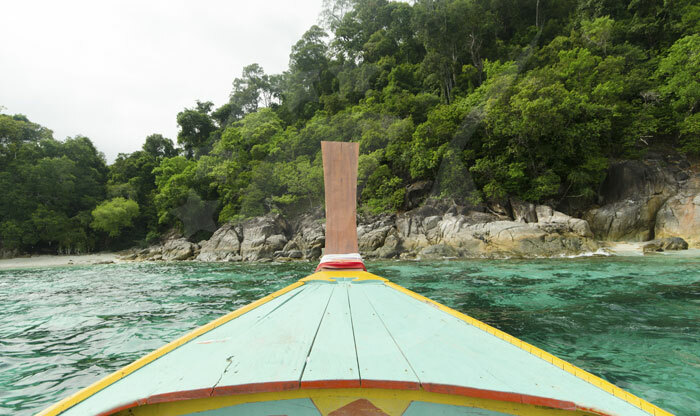 Speedboat & Ferry travel from Koh Libong to the islands is as follows: Koh Libong to Koh Mook (30 minutes), to Koh Kradan (30 minutes), Koh Ngai (60 minutes), Koh Lanta (2 hours), Koh Lipe (2 hours), and Langkawi (4 hours). Rustic and charming, still so unspoilt and captivating, Koh Libong should be in your travel plans for the adventure factor alone! It's becoming more popular now, but Koh Libong is one island where local and tourist will be found in more equal proportion. Don't expect perfect English in the service or top hotels with all their amenities, but do expect local cultural charm and hospitality. Koh Libong is naturally wild and wonderful, with mountainous jungle, superb flora and fauna, dark sands, and a thriving local culture. This fascinating island has also become home to many Dugong. These large sea grass eating marine mammals are an endangered species in the world, but Koh Libong has become home to approximately forty of them, and they can often be seen when kayaking near the places where they rest and feed. 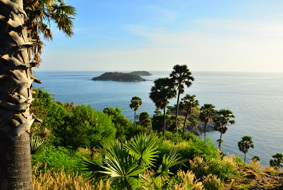 Koh Libong's four (yes, four) resorts are located to the south west of the island. 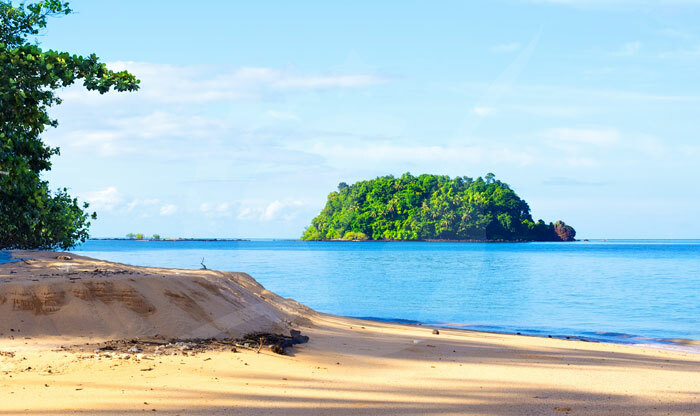 Libong Beach Resort has one small beach all to itself. 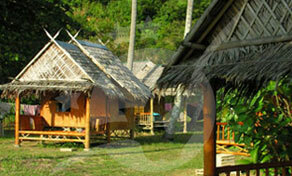 Le Dugong and Ko Libong Nature Resort are a short walk away. When the tide is low, the sea seems to retreat a long, long way, leaving lots of little rock pools teeming with life, all swimming around. Probably worth having some footwear on though to save you from catching your feet on a jagged rock. 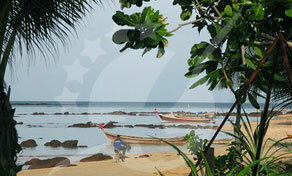 On the southern tip of Koh Libong, there's a traditional local fishing village that's interesting to walk around. 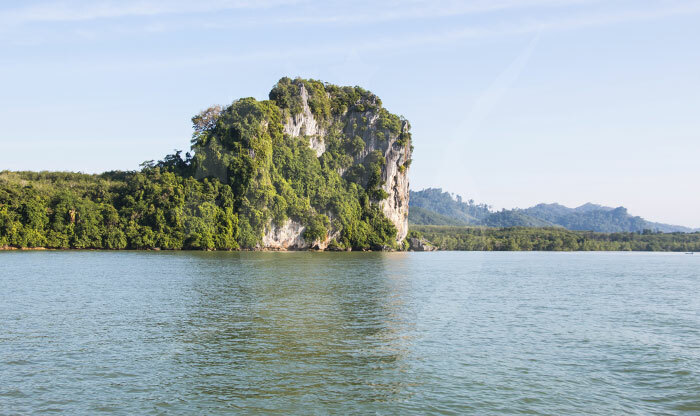 Then as you move north up the island's west side, you'll find a mixture of rainforests and hills interspersed with some awesome little secluded beaces and coves - very fun to find either on foot via one of the little trail roads or on a cheaply rented motorcycle. 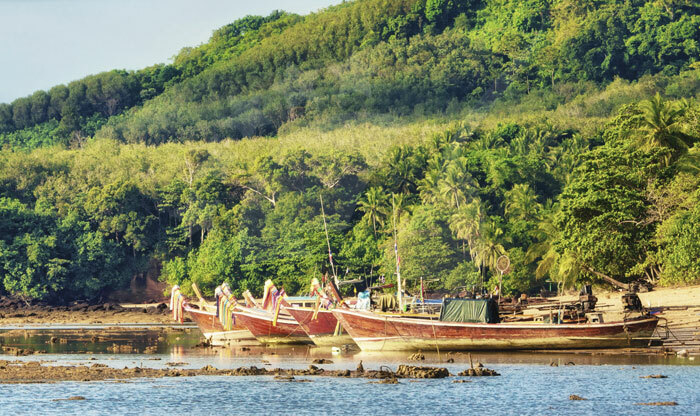 The people of Koh Libong are rustic and quite industrious, making their ways through days by fishing, harvesting pure rubber from rubber trees, and living the local island life. 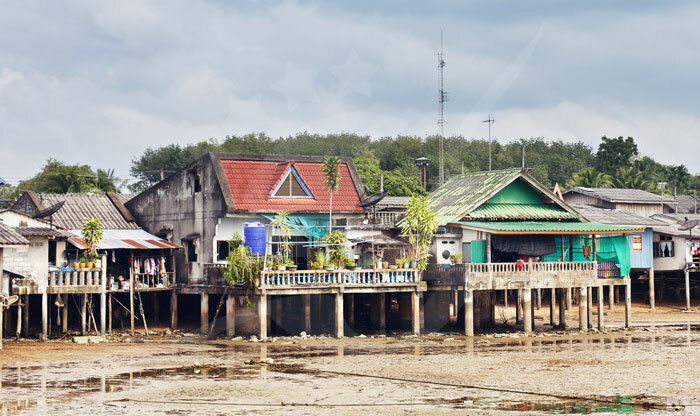 There's really only four main accommodation options for tourists, but it's quite possible to find the resort owner getting involved with the days work, packing supplies onto a long boat and taking the short trip from Trang. If you stay over, you'll get to know some of them, and maybe you can take a tour with them for a little dugong (sea cow) spotting or in your preferred little restaurant. 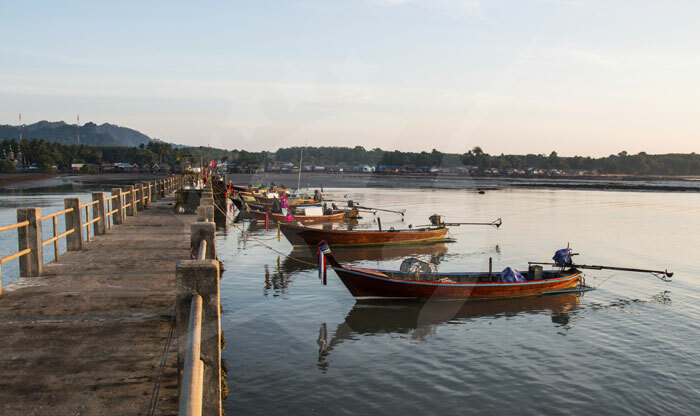 We recommend that you rent a motorcycle (they will cost around 300 Baht), and go exploring the dirt roads - you'll discover some great little bays and have them all to yourself! Let's just say that the accommodation options are not your five-star resort varieties. 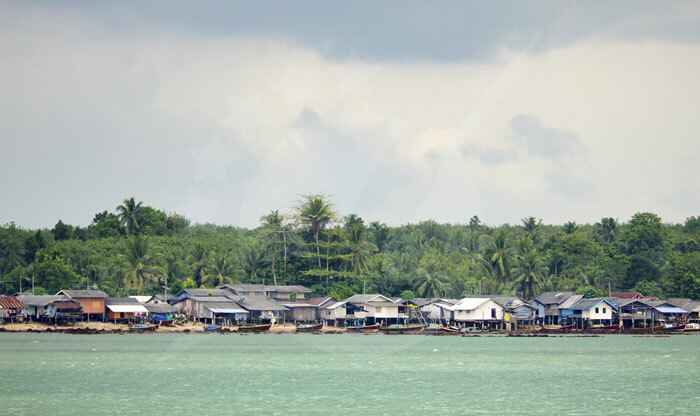 But that is not the charm of Koh Libong anyway. 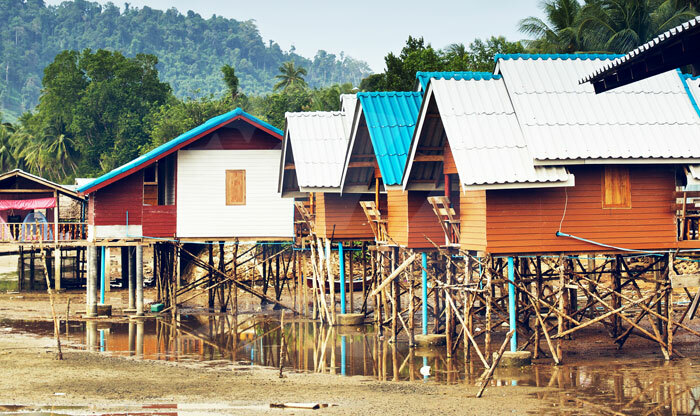 Far more authentic in nature, you are going to experience friendly personalities, apartments of wood and straw, locally inspired Thai dishes, and (probably) cool showers. But the authentic experience is not out of place. 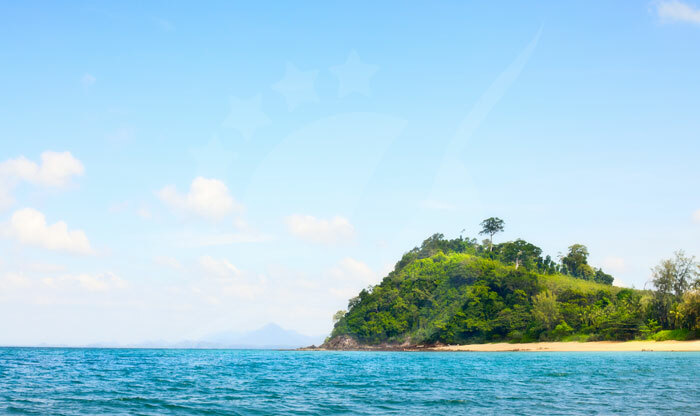 By day, they make great bases, as you move freely about the island or totally relax on the beaches. Le Dugong faces the north west and provides awesome sunset views over Koh Ngai, Koh Mook, Koh Kradan and other islands in the archepelago. Le Dugong seems to have slightly better reviews than the Libong Nature Resort, so we'd recommend reading up on a couple of reviews first. 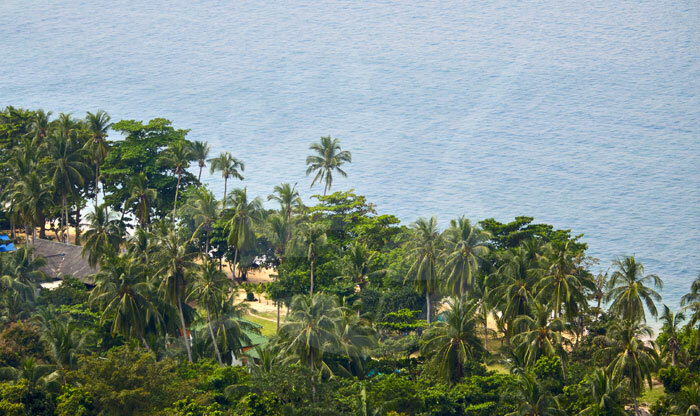 Then there's the Libong Beach Resort, which is well placed on the beach and seems to be well reviewed too. 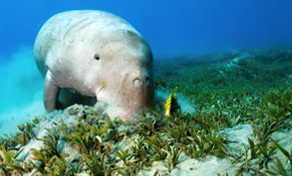 Amongst the diverse Koh Libong wildlife and sea life can be found the Dugong, also known as the "Sea Cow" or "Sea Camel". Quite rare and considered to be an endangered species, the dugong appear to be thriving on these shores. Completely herbivorous (they feed on sea grass), these peaceful looking sea mammals are mostly found on some of Australia's northern coastlines, so to see them frequent this island that's just 15 minutes off the coast of Trang in Thailand is an extremely pleasant surprise. They keep to themselves completely, but you can take a fun little guided canoe trip to the rivers running into the east of Koh Libong (probably from one of the resort accommodations) and hopefully you'll return having seen some of these lovely creatures.